As we work through what seems like an endless succession of cold fronts, right now it seems like a great time to look forward to March. We can only hope for some consistent weather, in order to normalize the fishing conditions. March is usually a transition month, where the weather and water temperature are going to determine where the fish will be. 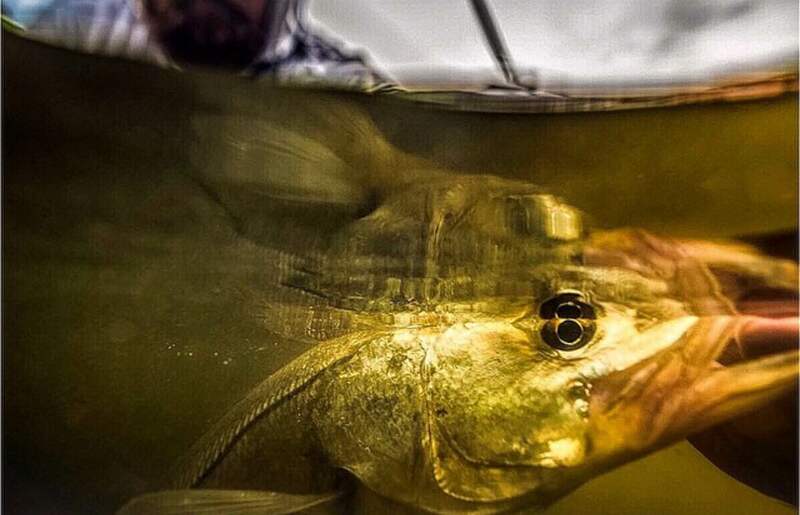 Look for clean water and you should be able to find fish that are willing to eat your fly. A 9 weight rod will help your cast in windy conditions, as well as give you the power to fight bigger springtime fish quickly. I have noticed a disturbing trend recently. When fishing, I use tackle that is light enough to allow for a delicate presentation, but allows the angler to fight fish quickly and effectively limiting the stress on the fish. For whatever reason, it has become popular to try and catch our most popular gamefish on trout sized fly tackle. In my opinion, this is a case of just because you can do something, doesn’t mean it’s a great idea. To deliberately target large fish on too light of tackle is misguided at best, harmful at worst. As fisherman, plying waters that are facing more pressure daily, we must be mindful of the impact that we have on our fishery. Please use appropriate tackle, and fight fish hard and release them quickly. When landing a fish, use wet hands. Make sure you support larger fish by both the jaw, and with a hand under the belly of the fish. Don’t hang fish by the jaw as this can impact their ability to feed. Supporting a fish under its belly helps prevent damage to its organs that can come from hanging. Ideally, the fish should only be out of the water long enough to get a quick picture before the release. When releasing a fish, gently lower it back into the water, and make sure it is ready to swim before you let it go. I wholeheartedly endorse and practice catch and release fishing. However, if you are going to take fish for the table, only take what you are going to consume for you and your family in the near future. With more and more pressure on our waters both environmentally and population wise, we must be mindful of our actions in order to preserve this fishery for future generations.